RECENTLY FEATURED ON WEEKEND NOTES MELBOURNE TOP 5 CAFE!!! 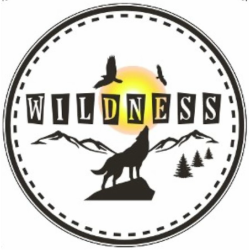 Wildness café is a great little place to feel welcomed any time of the day. The staff are always warm and welcoming. The coffee is fantastic and the food is a step above the rest in the area! My husband and I visit wildness frequently. We love their friendly service and lovley food, but it’s also great to support a local business. Went this evening for dinner and the food was delicious! Highly recommend the green tea cured salmon and the steak was lovley. This is a lovely cafe with reasonable prices and excellent food. The atmosphere is welcoming and relaxing. All staff are pleasant and helpful, treating each of their customers needs on an individual basis and they are very accommodating. We were able to have a lovely lunch in a peacefully pleasant setting. Love spending time at this place!!! The food is amazing, The coffee is epic and our kids are made welcomed and enjoy the cute little kids zone. Would come every day if we didn't have jobs !!!!! I cannot say enough good things about this place. The food is impeccable, so beautifully presented. I would go so far as to say this is some of the best food in Melbourne. the girls left happy after their hot chocolates.